Gun metal grey/blue metallic thread on soluble fabric. 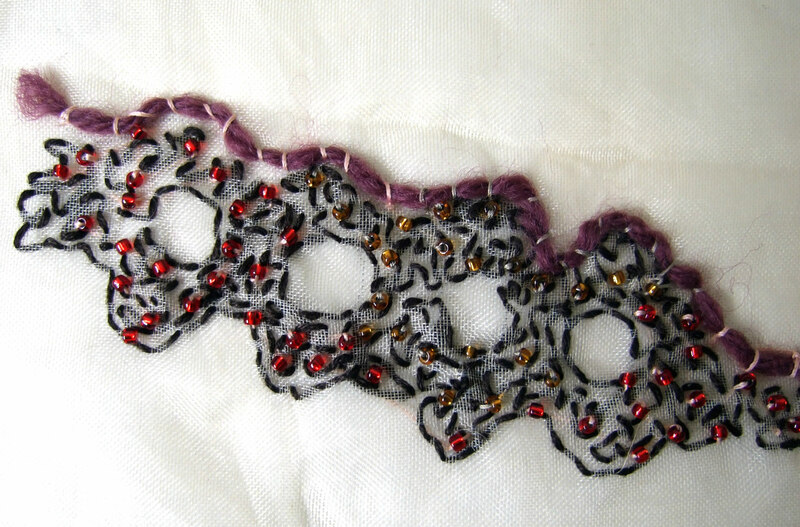 Delicate but sturdy due to the metallic thread. 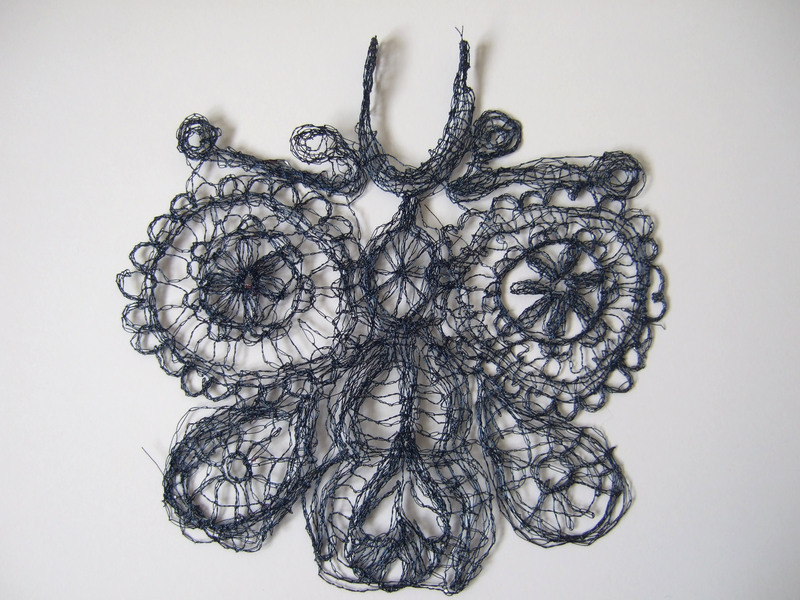 I imagine this on a similar coloured chiffon, as a back detail, almost like a tattoo on the skin, or a shadow. 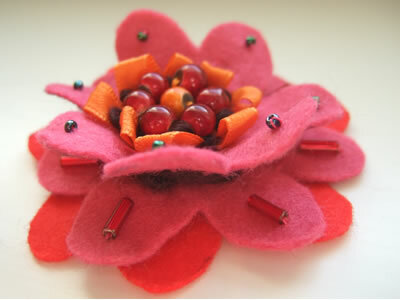 I made a series of these for gifts, which led to an open house. 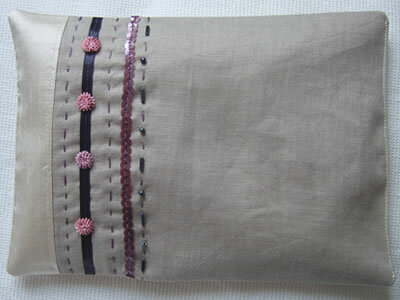 They were a great seller, and led to lavender filled eye bags for yoga. 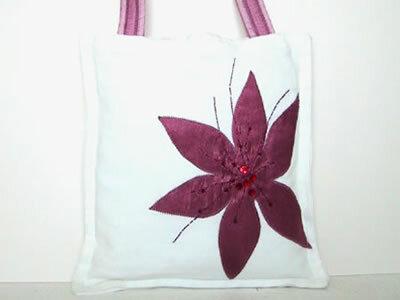 Pink satin tiger lily bag in white linen. 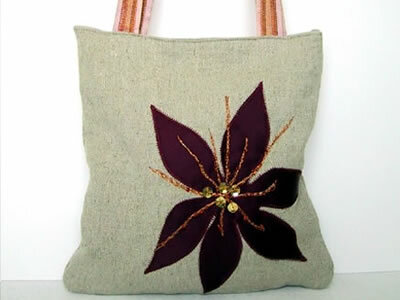 Orange satin tiger lily bag in beige linen. Another present for a friend which led to repeat orders. I made a selection in different colours, and styles to suit the personality of each person I made them for. 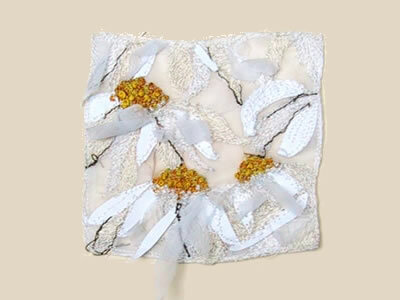 A very delicate embroidery using paper, cotton organdie, machine embroidery and hand-stitched french knots. Featured in Knitting Magazine. 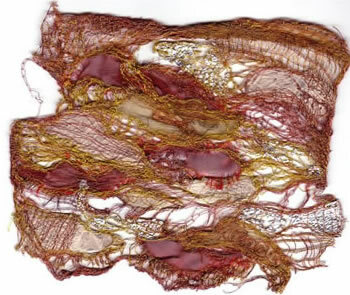 A very early piece of lace-like machine embroidery inspired by rusted metals, copper and shadows. 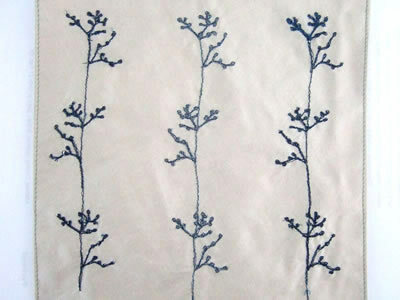 Dark blue embroidery thread on cream silk.